In another place, at a different time, a martyr for a different aspect of what’s really a universal human cause, South African Black Consciousness Movement leader Steve Biko, observed that “The most potent weapon of the oppressor is the mind of the oppressed.” So it was then and there, so it was on The Day of the Martyrs and so it is now, in Panama and elsewhere. On January 9, 1964 the Panamanian mind didn’t function the way it was “supposed to.” Resignation in the face of nothing ever changing, ignoring banal insults in order to avoid making things worse, the narrow concern for self and family — for a moment these things dissolved under a tidal wave of fury, and things would never be the same again. That fury was not a perfect storm but the accumulated actions of imperfect people. Most of the people who were hurt on both sides didn’t deserve to be hurt, but a point was made. Usually such fury can be heard coming, but usually the sounds and signs are ignored until Hell has broken loose. In 1947 and 1958 the alarm was sounded in some unmistakable ways. In a ceaseless procession of movements, statements, gestures and resolutions from the end of World War II to the Day of the Martyrs, Panamanians of all social classes had been saying that they were fed up. If some of those whose lives were profoundly changed never knew what hit them, it’s because they weren’t paying attention, by and large because they were taught not to pay attention. The past should illuminate our present and provide a set of warnings as we move into the future. Mostly, however, it gets trivialized, mythologized and spun for partisan advantage. Those who object to the distortions tend to get their motives and their credentials as human beings questioned by those who would privatize the nation’s history. But the momentous acts of individuals and groups don’t belong to any party, faction, social segment or would-be leader. Some person or group might gain control over what the history books are allowed to say, but they don’t own history. The Day of the Martyrs was then. The Canal Zone is over. Panama lives on, its fate in the hands of new generations. Today’s Panamanians face some new situations, but the basic questions that all ought to ask are the perennial ones. Which insults and injustices will you tolerate, and for how long? For what are you willing to die? Much harder: For what are you willing to work and to dedicate your life? Yadda yadda yadda — nothing ever changes. And if the head of the Colegio de Abogados, Panama’s principal bar association, files criminal charges for fraud in the Panama Canal expansion, many will be accustomed to tuning that stuff out, many because they have been advised to do so. It’s a good way to miss the sound before the fury of those who are oppressed. Panama is oppressed by a parasitic, amoral and arrogant political caste that does everything it can to avoid accountability and every five years appeals to the baser instincts in the pubic mind to get its grip on power renewed. 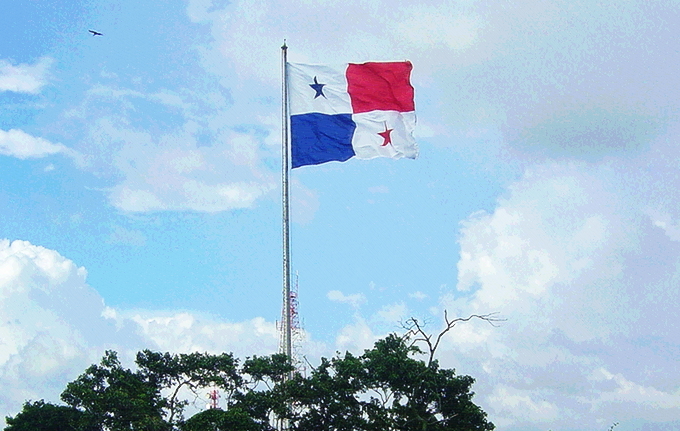 Panama is oppressed by a predatory and generally incompetent domestic social elite that has convinced many Panamanians that its own genealogy and its highly fictionalized history are the only subjects worth knowing, to the exclusion of the skills and wisdom that society’s individual members need to amount to a self-reliant, prosperous and well-ordered nation. These political and economic elites have put us at the mercy of a multinational corporate oligarchy that stifles our development, cheats us on a daily basis and has too many of us believing that it is too big to fail and thus that there is no viable alternative to putting up with its abuses. Are we to explode in a hot fury that leaves us with a new generation of martyrs — to add to those already blinded in Changuinola, shot down at the edges of the comarca, burned alive in Tocumen, killed by anti-union company goons and otherwise fallen at the hands of Panama’s now-reigning oppressors? Are we to relentlessly drive those now in control from power and strip them of prestige in an irresistible cold fury that forever changes who and what Panamanians are? Only when we, like the martyrs of 1964, stop letting our minds be used as weapons against us. Anti-Semitism is the socialism of the stupid man.